Most new Bible studies don’t take 25 years to go from idea to published product, but this one did. Oddly, this speaks well of both teachers and kids. 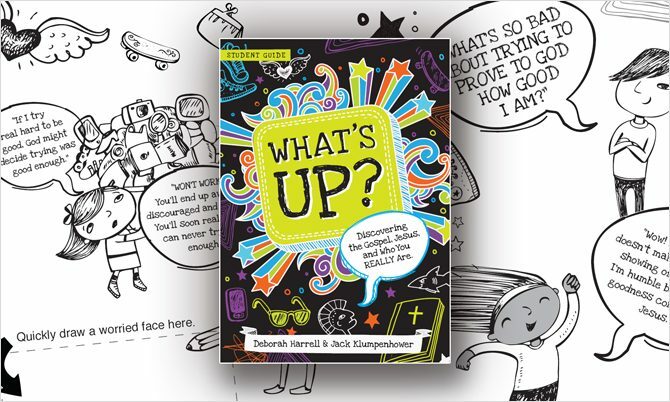 A new discipleship study for tweens and young teens was released for sale this week. It’s titled What’s Up? Discovering the Gospel, Jesus, and Who You Really Are. Deborah Harrell and I are the authors. I want to tell you the story behind creating What’s Up? without turning this article into a long advertisement to buy the study. Can you read it that way; not as a sales pitch but as a story? It’s important that you do, because the reason we wrote What’s Up? matters far more than the study itself. Back in the 1980s, Serge (then called World Harvest Mission) began sending missionaries to Africa and Europe. The mission quickly discovered that merely sending people was not enough. Missionaries tend to burn out. They feel pressure to live up to their high calling, usually in situations where it’s hard to get much traction or point to impressive achievements. They have performance anxiety and get discouraged. The solution was to train missionaries not only to tell the gospel to others, but also to practice resting in it themselves. Leaders developed a training course built around the wonder and comfort of being children of God. Missionaries learned first to feel secure and joyful in Jesus, and as an outgrowth of that to practice heart-centered faith: daily repentance, forgiveness, humility, boldness, peacemaking, embracing weakness rather than proving their strength. The course was dubbed Sonship. Sonship became so popular that churches started using it to train their non-missionary leaders as well. That’s how I first heard of it; as a young deacon-in-training at a church in North Carolina. I was also teaching Sunday school, and I quickly realized the concepts were important for kids too. Kids are a lot like missionaries. They are still learning how to get by in the place they find themselves, yet they are constantly judged by their performance. They get graded and evaluated on everything—from schoolwork to the attitude they have as they do household chores. So kids, like missionaries, need LOTS of gospel. And young teens in particular feel anxious about their identity and need to be reminded that, above all else, in Christ they are God’s dearly loved children. For them, any study of how to live must flow from that truth about who they are. Years passed. Every now and then I’d hear again how people wanted a Sonship study for kids, but I figured it wouldn’t happen. I moved across the country, and aside from adapting a few Sonship concepts to use in my own teaching at my new church, I largely forgot about the idea. It was late in 2008, twenty years after Sonship first came out, that I met with Deborah Harrell at a Starbuck’s in Winston-Salem, North Carolina to talk about a project she was trying to get started. Debbie is a teacher and curricula expert who works for Serge as the educational consultant to families stationed overseas. It turns out the mission had not forgotten about the need for a discipleship resource for kids. In fact, they had asked Debbie to write it. As we talked, it became clear that Debbie and I shared a vision. 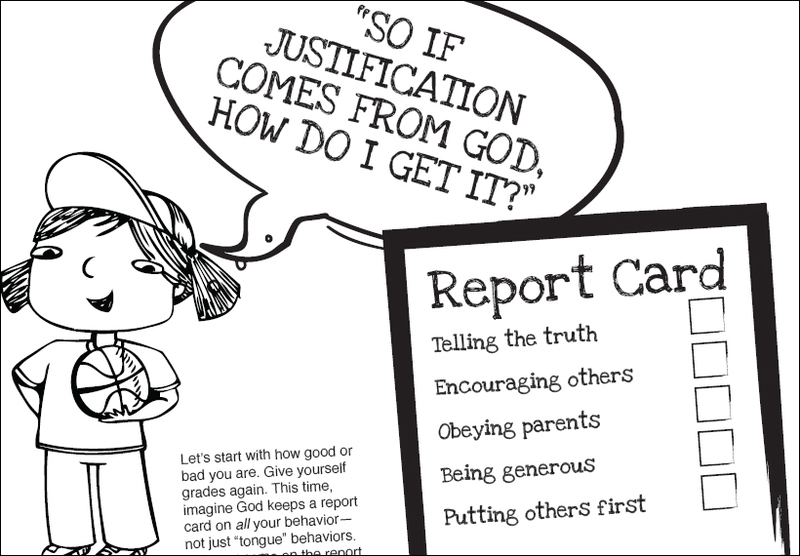 I told her about some of the illustrations I’d been using, like a report card that teaches how God justifies sinners. She told me about her illustrations, like a shark that shows the danger of sin that lurks beneath our surface behaviors. Before long, I realized that the someone who would finally adapt Sonship for kids would be Debbie and me! It still took a long time. We had to come up with a concept and submit samples to the mission and the publisher. Editors, illustrators, and pastors got involved (and were a big help!). 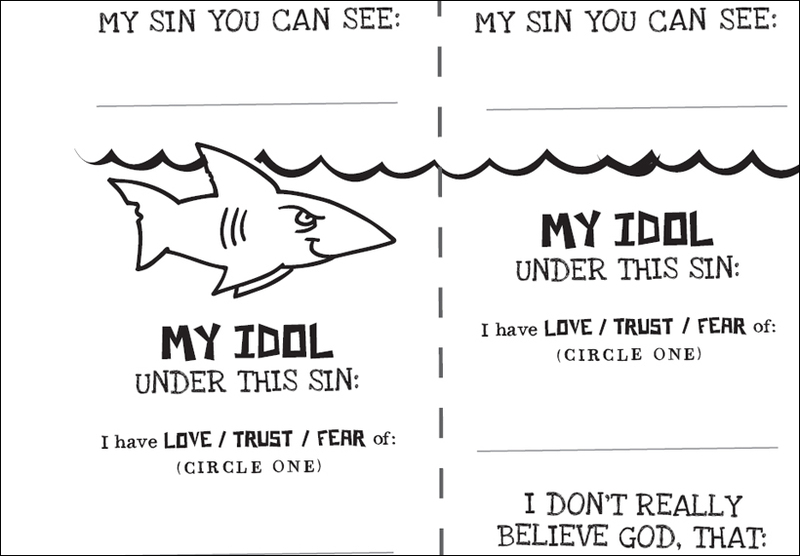 We tested the lessons on real kids in real churches, and then made revisions and tested again and revised again. But the study is ready to use now, after all those years. For me, the most encouraging thing about this is that the idea wouldn’t die even when I had given up on it. It means there are gospel-gripped teachers out there who know there’s nothing quite as powerful as telling kids more about Jesus. And it means those teachers see that there are kids out there, in our Sunday school classrooms and youth groups, who’re hungry to take the gospel deeper into their hearts. Those kids are eager to tackle the hard topics—repentance, idols, forgiveness, interpersonal conflicts—that What’s Up? will challenge them to address as they see who they are in Christ. Yes, you can buy the study if you want it. New Growth Press and Westminster Bookstore are the best places to find it for now. But more importantly, whatever resources you use, be sure to learn the lesson I learned—that our kids want to hear about Jesus and want to be challenged. Oh, and check out the report card and the shark in the partial pages below. They’re among the dozens of illustrations and exercises that made it into the final lessons. Tags: Serge, Sonship, What's Up? Very excited about this resource! Thank you for all your hard work! I have been so very blessed by your book “Show them Jesus”. Thank you for being obedient in writing and working on your books as a ministry to the church and for the glory to God. Just wanting you to know that we are reading and using your materials in Germany too. Thank you for the encouragement, Natascha. The book’s publisher does have agreements with some publishers outside the USA to translate and publish their books in other languages. I’ve seen a copy of Show Them Jesus translated into Indonesian! I haven’t heard anything about German, though, and I don’t know if they do that. But I will pass along your comment to the publisher so that they know there’s interest. It’s great to hear from you!